Submitted by CSUKillsTheArts on Tue, 10/04/2011 - 11:24. 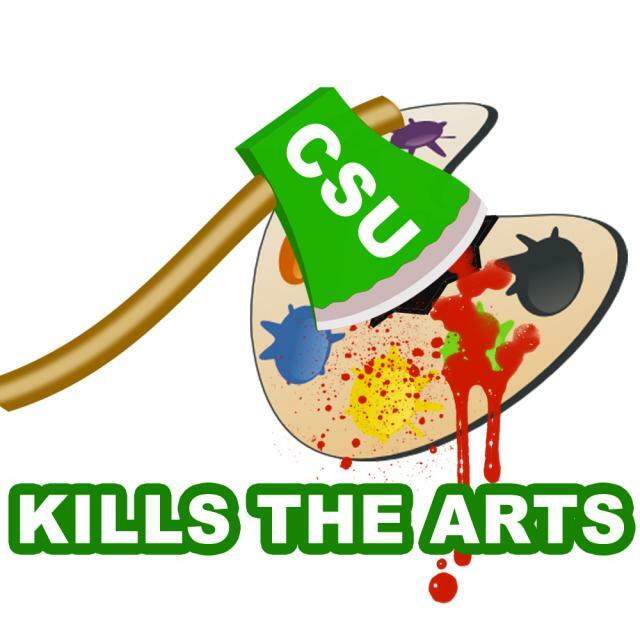 Cleveland State University Arts and Arts education is under attack! Not from outside bureaucrats, but their own disregard for some of the most under-advertised and highly valued programs at CSU. Through the incompetence of the current Provost and their inability to correctly assess the space and resources available to them in the newly leased replacement of the art building, the 3D and ceramic arts are being merged, greatly damaging both. Our Provost has not once visited the CSU Ceramics program, tell them to follow through with their responsibilities as administrators to asses programs in detail taking into account, not only facilities, but how such programs are viewed and valued at CSU. The CSU ceramic program, while not renowned, has some of the best facilities in the state! Almost anything is possible here, including slip casting, mold making, reduction fire and oxidative fire kilns. We even have the ability to recreate some of the most unique pieces with salt firing and crystal glazes, thanks to specialized kilns and a history of teaching ceramic chemistry and formulation. CSU 3D arts has a long history of producing many valued and successful artists, sending many to advanced graduate programs around the country. Tell Cleveland State to find real solutions and value the arts as much as we all do! Submitted by lmcshane on Wed, 10/05/2011 - 06:30. Great work Benjamin Morrison! I am impressed to see social media working to get an important message across. Nice graphic, too!